The Alliance of National Heritage Areas (ANHA) is a membership organization of NHAs dedicated to enhancing the work of the heritage development movement. The ANHA promotes links among the individual Heritage Areas, as well as with emerging heritage areas and other organizations associated with heritage development. The ANHA educates the public and constituents about successes and opportunities, encourages partnerships, and supports private sector entrepreneurial activities in support of sustainable heritage development. Each Pennsylvania Heritage Area is a geographic region or corridor of the Commonwealth that spans two or more counties. These areas contain a multitude of historic, recreational, natural and scenic resources of state and national significance that, collectively, exemplify the heritage of Pennsylvania. Through regional partnerships and public grassroots planning strategies, these resources are identified, protected, enhanced and promoted to strengthen regional economies through increased tourism, creation of new jobs and stimulation of public and private partnerships for new investment opportunities. Members of Pennsylvania’s twelve state and nationally-designated Heritage Areas and Corridors formed the HeritagePA Association in 2008 to serve as a statewide resource network. This collaborative effort is intended to strengthen and expand each region’s productivity and contributions. 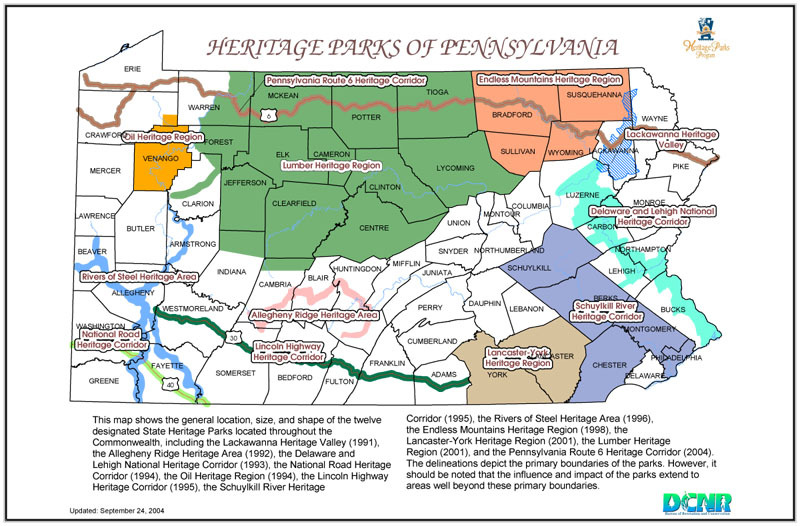 HeritagePA is a non-profit outgrowth of the Pennsylvania Department of Conservation and Natural Resources’ Heritage Areas Program, which formally designates Heritage Areas within the Commonwealth. A National Heritage Area (NHA) is a geographic area designated by the United States Congress as significant in the history of the nation due to its unique natural, cultural, historic and/or recreational resources. 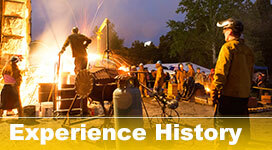 Heritage areas receive technical, planning, and financial assistance from the National Park Service’s National Heritage Areas Program. The Lackawanna Heritage Valley was recognized by Congress as an NHA in October 2000.